This week’s reviews include releases from Eruption, Full Of Hell, Havukruunu, Helker, Life Of Agony, Succumb, Swans, The Sword, The Unity, The Voynitch Code and Wolfpakk. One of the cool things about metal is that no matter where you’re located in the world, influences flow from everywhere. Even though Slovenia is nowhere near the Bay Area, Eruption embrace the glory days of thrash. 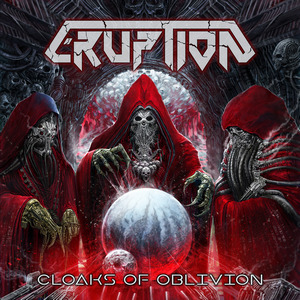 Cloaks Of Oblivion is their third studio album, loaded with galloping riffs and gang vocals along with more moderately paced tracks. One thing that sets Eruption apart from the re-thrash masses is vocalist Klemen Kalin, who can deliver gruff thrash vocals, but also has the range and falsetto of a power metal singer. While there’s not a ton of originality, there are plenty of quality musical chops and top-notch vocals. At first glance, Full of Hell are nothing more than cacophonous noise. But upon deeper examination this under 25 minute dirge is a powerful statement to how concise an album can be in 2017 and still get their point across. 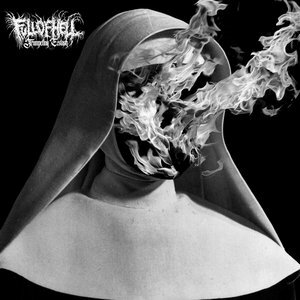 Trumpeting Ecstasy is the first exclusively Full Of Hell full length (following collaborations with Merzbow in 2014 and The Body in 2016) in nearly four years and it feels like they have truly honed their craft. Whether it be the powerful opener “Deluminate,” scorcher “Crawling Back to God” or the particularly ominous guitar tone on the title track; the violence has variety and Full of Hell have delivered what is easily their best release yet and have set the bar very high for grind and powerviolence in 2017. 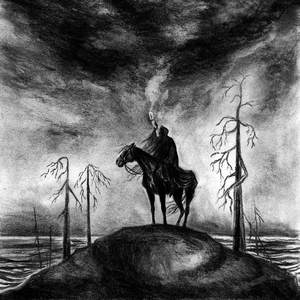 Kelle Surut Soi, which translates to “for whom the sorrows sing,” is the second full-length from the Finnish pagan black metal duo Havukruunu. They incorporate a lot of variety into the proceedings, mixing dense, icy black metal with more regal and mid-paced moments and inserting acoustic and atmospheric parts to add even more diversity. The vocals are mostly harsh growls, but there’s some melodic singing as well. Most songs are 6 to 8 minutes long, with creative arrangements shifting styles and tempos showcasing Havukruunu’s range. 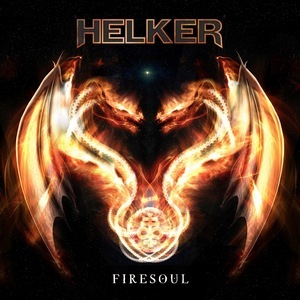 Hailing all the way from Argentina, Helker have been around for decades, but perhaps unfamiliar to those of us in the northern hemisphere until their first English album just a few years ago. Firesoul marks their second such foray, and it’s a promising disc of metal that does come with its drawbacks. There’s a great deal of the good, the bad, and the ugly on Firesoul. First, the good. Singer Diego Valdez hails from the Ronnie James Dio school of vocals (if there was such a thing), and sings with power, menace, and theatrics throughout, just like his idol. The bad: the guitarist seem to have attended the Zakk Wylde school of pinch harmonics, and overplays that tired cliché endlessly. And the ugly: the mastering has absolutely crushed this mix, making the album exceedingly hard to listen to, with tons of clipping throughout. Life Of Agony reformed a couple years ago, and after a dozen year gap between studio albums, return with A Place Where There’s No More Pain. Their current lineup is the same as their 1993 debut River Runs Red. Passionate lyrics and catchy melodies from Mina Caputo are augmented by thick riffs from guitarist Joey Z. There’s plenty of accessible hard rock along with groovier tracks like “A New Low.” The sparse, piano driven closer “Little Spots Of You” is an interesting change of pace, and I wish there would have been a few more unpredictable moments. 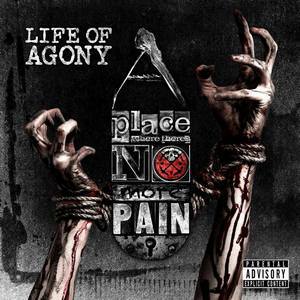 Still, it’s a well-written and performed album and a welcome return for Life Of Agony. 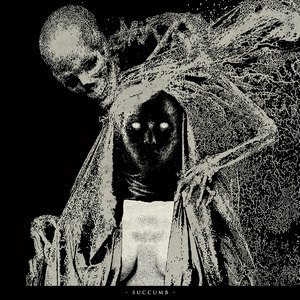 Succumb’s self-titled debut is an all-consuming entity, its feral existence clouded in a nightmarish hue. The technical savvy of the instrumentation is paired with demented vocals that could’ve been recorded in an underground silo. Its sickening disposition caters to the hardened ears of veteran metalheads. Even if the words are buried enough to make individual lines tough to hear, the themes of human manipulation and dystopias come clearly across. There isn’t anything conventional about the sudden swerves the riffs go on, yet it maintains a sophisticated tone not usually suited to the genre. Deluxe reissues of Swans’ back catalog continues with a remastering of 1995’s The Great Annihilator. This was Swans’ ninth release, coming at the tail end of their first incarnation. This reissue also comes with Michael Gira’s solo album Drainland. I won’t review that one here, aside from saying it’s a worthwhile listen, coming across as a more restrained Swans recording. 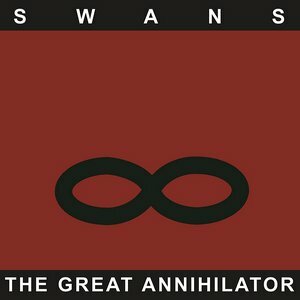 The Great Annihilator plays to Swans’ usual strengths; that is to say, hypnotic, repetitive arrangements, disconcerting lyrics, and tight, sparse avante-garde musicianship. With seventeen songs this is a long album, much like their modern output, but the longest cut is only seven minutes long, thus making the album feel more like a hint of what’s to come from this band. The reissue is worth picking up for fans of the band, but can’t compete with their most recent trio of records. Greetings From… someone’s basement club in Austin, perhaps the one on strip-club street where the bikers like to hang. The title of The Sword’s latest album, a sloppy broken Jim Beam bottle of buzz-saws and blues, is a live transmission from such a place. The fuzzed-out Molly Hatchet meets the Dead sound burning through these nine tracks brackets The Sword’s bang the bong simmer and catchiness. John Cronise and Kyle Shutt work their summer of ‘69 guitars like dream thieves through the high country as they roll out “Buzzards” and “The Chronomancer I Hubris” with fierce head-rush tenacity. Greetings From… warps along like a short set on a summer night. 42 minutes of stormy volume pedal psychedelia that even chucks in a swampy cover of “John the Revelator” that might have made Blind Willie Johnson feel the humidity. 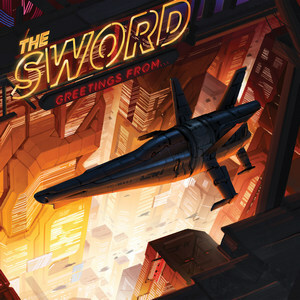 The Sword are a kegger-party in a Texas parking lot, strung lightbulbs bare and the folks livin’ it up on paycheck pot. 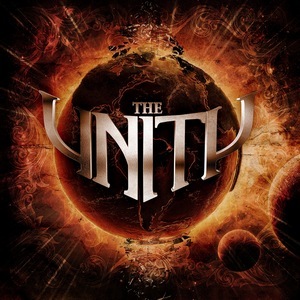 Featuring two members of Gamma Ray, as well as members of Love.Might.Kill, The Unity is both the band name and the debut album title for these German metallers. Don’t be taken aback by the Gamma Ray connection, though, as the material on this self-titled platter is straight-up metal that would have fit in well in the late ’80s. The Unity features nine cuts that overall are very high quality. “Always Just You” is an excellent power ballad, and closing track “Redeemer” could have come straight off a Joe Lynn Turner-fronted Rainbow album. The only drawbacks to be found are the fact that the songs tend to overstay their welcome, regularly clocking in over five minutes, and singer Gianba Manenti can have a hard time with the upper reaches of his register. Quibbles aside, this is a really fun and well done record. 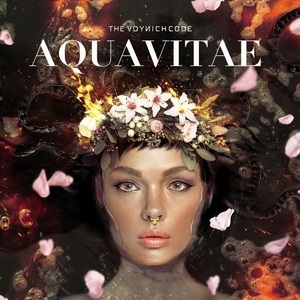 Inspired by a famous piece of 15th century cryptography, Portuguese quartet The Voynich Code have managed to crack the deathcore enigma with their impressive full-length debut Aqua Vitae. A furious blend of modern progressive metal, djent and death metal, the record showcases top-shelf talent with a robust, mammoth production – things shine and explode with great frequency on Aqua Vitae. While not every track is a standout, the number of awesome moments and the clever, deadly songwriting, eager to fill every nook and cranny with sound, propels the record into territory seldom trodden by the deathcore genre. Sure, the burly roars are a tough sell, as will be the strong electronic presence, but the skill and sheer concussive might dealt by The Voynich Code is too vibrant to dismiss. 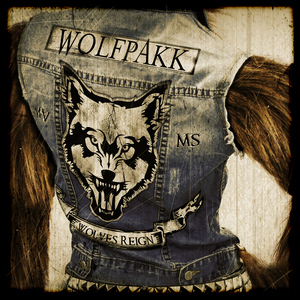 Wolfpakk are an all-star side project of vocalists Mark Sweeney (ex-Crystal Ball) and Michael Voss (Michael Schenker’s Temple Of Rock). Their latest effort Wolves Reign features numerous guest vocalists and musicians. The songs are melodic metal with big hooks and singalong choruses. Some of the highlights include “Blood Brothers” with vocalist Biff Byford (Saxon) and guitarist Brad Gillis (Night Ranger); the title track with Tony Harnell (TNT) and George Lynch (Lynch Mob, Dokken) and “Scream Of The Hawk” featuring Grim Reaper’s Steve Grimmett. Others appearing on the album include Ronnie Atkins (Pretty Maids), Danny Vaughn (Tyketto), Chris Holmes (ex-W.A.S.P.) and Rudy Sarzo (Ozzy Osbourne). The quality varies, but there are more hits than misses.